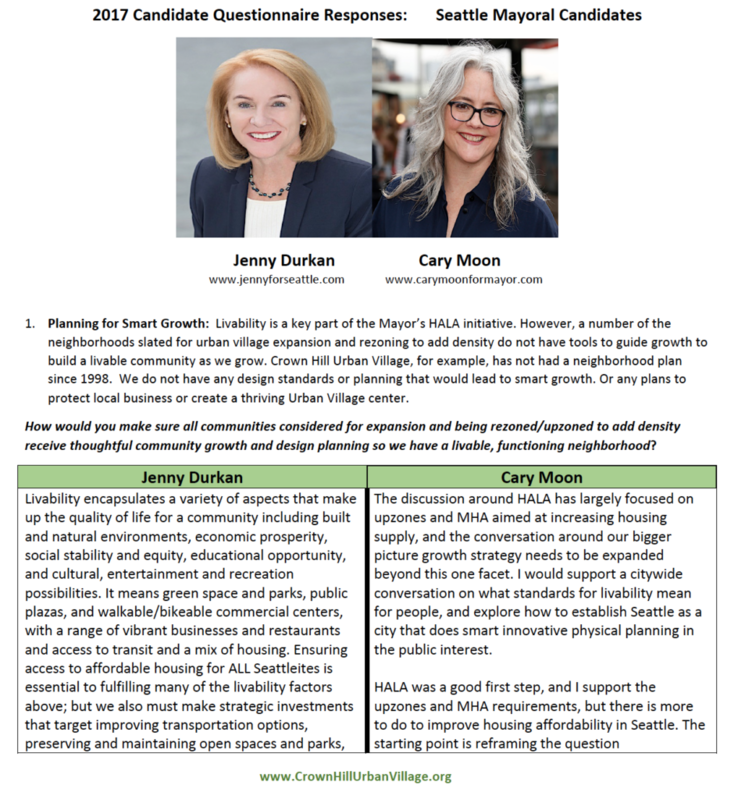 The Crown Hill Urban Village (CHUV) Committee for Smart Growth reached out to the 2017 campaigns for Seattle Mayor and City Council Positions 8 and 9 (city-wide council representatives) with five questions about managing growth and density in Crown Hill Urban Village. View or download candidate responses by selecting the races listed below. 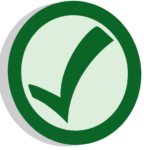 The Committee for Smart Growth does not endorse, support or recommend candidates. We are sharing information with our community. Each candidate’s answers were published verbatim with no edits or changes other than light formatting for better readability. Thanks to all candidates who completed this survey and responded to community questions about issues impacting Crown Hill Urban Village as we work towards smart growth in our community. We encourage neighbors with additional questions to contact the candidate campaigns directly or attend the debates or events being held around the city featuring candidate discussions. Election day is November 7th. Go to King County Elections for any questions about your ballot, drop box locations or other voting matters.